Bring out your inner Francophile and celebrate the beginning of the French Revolution at this street fair on the Upper East Side. 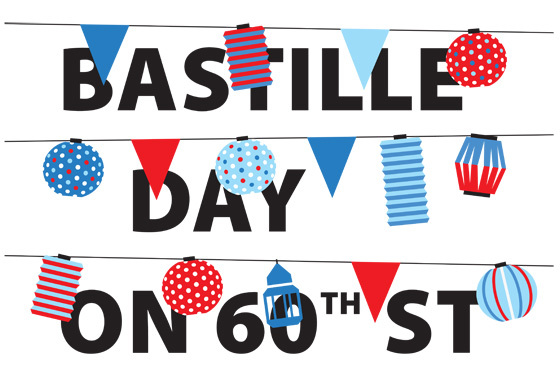 There will live performances and plenty of French music to entertain you while you wander through the street market on East 60th Street, between 5th and Lexington. There will be plenty of food and drink as well as arts and craft offerings. If you need to brush up on your French, FIAF will also offer free french workshops on the day. Visit here for more information. 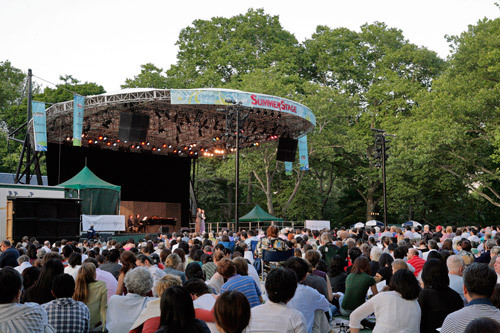 The New York Philharmonic will perform for free again this summer in parks around the city. Pack a picnic and join thousands of New Yorkers at this quintessential New York experience - the ones in Prospect Park and Central Park are the most popular. Make sure to stay to the end for the fireworks finale. Details of concerts can be found here. Based on a similar occurence at Stonehenge where on the summer solstice the sun rises in perfect alignment with the stones, Manhattanhenge is a twice-a-year occurence, where the setting sun aligns perfectly with the east-west streets of the main street grid (14th street and above) in Manhattan. This happens again for the second time this year on July 13 and 14, around 8.23pm. On those days, the sun illuminates every cross street on the grid with the sun's center setting precisely on the street's center line. 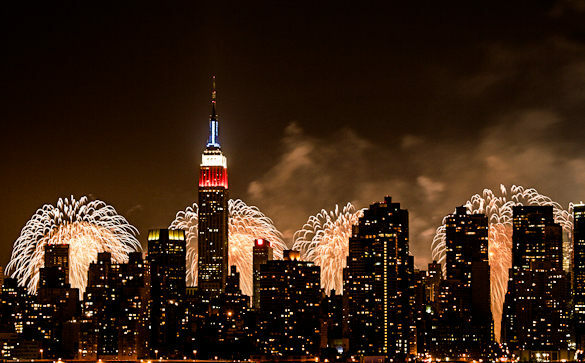 Best streets to view this phenomenon are 14th, 23rd, 34th, 42nd and 57th street, and as far east as possible with the Empire State Building and Chrysler Building accentuating the views on 34th and 42nd respectively. Don't forget your camera! 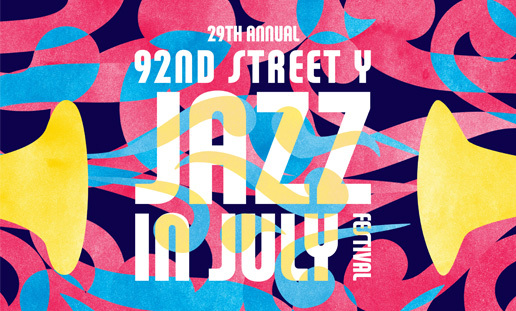 The 29th annual Jazz in July takes place again this summer at the 92nd Street Y. Over three dozen jazz musicians will perform over six shows. Highlights of the festival include music celebrating Jimmy Van Heusen, Henry Mancini, Johnny Mandel and wraps up with the sounds of Benny Goodman. Visit the website to see the full lineup and to purchase tickets. It's one outdoor performance after another this month and the Met is also in on the action. No borough is left behind when the Met puts on six recitals during the second half of July. Opera on the opening night begins at 8pm while all others start at 7pm. Alas no fireworks at the end of these performances though! Details of each concert can be found here. A fan since his N'Sync days, its been many years since I saw JT in concert (Sydney 2007 baby). No words can describe how excited I am to see him and Jay perform this month at Yankee Stadium this month. Until then, I will have The 20/20 Experience on repeat. Get your tickets at Ticketmaster or Stubhub. The Met roof garden's 2013 exhibit features Pakistani artist, Imran Qureshi, who has created a piece of work painted directly on the 8,000-square-foot surface of the rooftop garden - the first person to do so. Qureshi splattered red acrylic paint onto the ground to create his painting, to represent both his emotional response to violence occurring around the world, as well as to pay homage to the luxurious gardens in the Mughal era and the foliage of Central Park surrounding the Roof Garden. The Martini Bar also now open at the rooftop on Friday and Saturday evenings - so sip on a drink and walk on the art - you are more than encouraged to! And there you have it - a month full of outdoor fun to make the most of the warm weather. Have a great July! Oh-so-jealous that you're going to watch JT in person! Ah, the good 'ol N'Sync days... I'm making a trip to NY this month, but only for the day to get passport renewed though. I had never heard of Manhattanhenge before! So cool!